We talked with Lindert Moerdijk, owner of MSP Onions. He’s currently leading one of the biggest projects MSP has ever faced: realizing a fully automated onion processing plant according to the principles of Industry 4.0. In this ‘smart factory’, machines take over labour-intensive activities and can be controlled with a comprehensive software layer that links all components of the production process. Lindert tells us about the most important challenges the company is facing nowadays: “Our international clients want high quality and 100% track & tracing for a low price. With the current method of working, the Dutch onion industry cannot fully meet these standards of quality and traceability. That was the trigger that we needed to take action.” Delivering onions of constant quality is very hard when you sort the product manually, he explains, and internal quality is impossible to judge with the naked eye. Moreover, watertight tracking and tracing can’t be ensured in the current Dutch onion industry, which keeps the doors closed to collaborations with strictly regulated countries, such as China. Another problem that MSP is currently facing is undercapacity. Labour is expensive, and operating every component of the production process with a separate machine and operator isn’t very efficient. When a machine has to be stopped and adjusted manually, it often means interference with other processes or even a full production pause. Taking all of these challenges into account, MSP formulated a ‘wish list’ for their new factory. 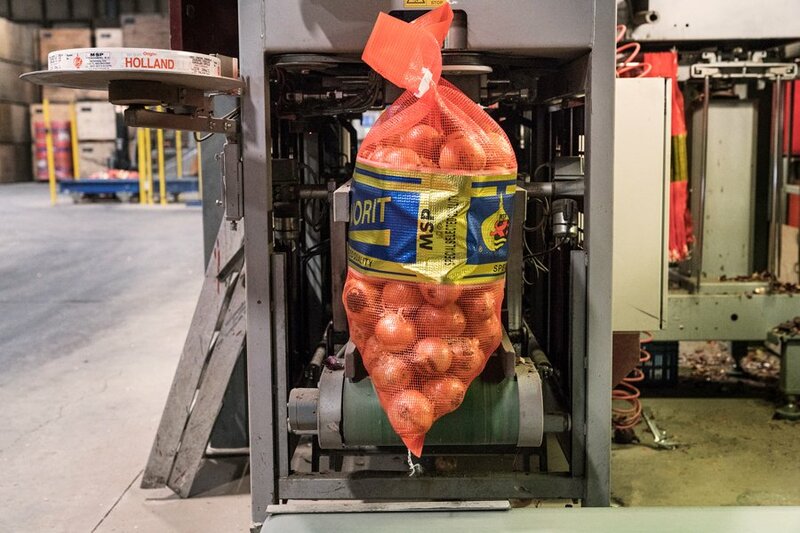 It wanted a significant improvement in the quality of their onions without increasing the costs per kilogram, full traceability of its products, and workflow automation. Together with Modesta and the other OTA partners, they began drawing the ideal onion factory from scratch. As Lindert relates, “It wasn’t an easy task. We had to constantly force ourselves to have a totally unbiased vision. That also meant that the first 24 ideas could be scrapped. We really needed to invest, together with OTA. We didn’t make any concessions.” The final result was a factory line that was discussed, improved and engineered to the smallest detail by a group of people with different areas of expertise and different backgrounds. 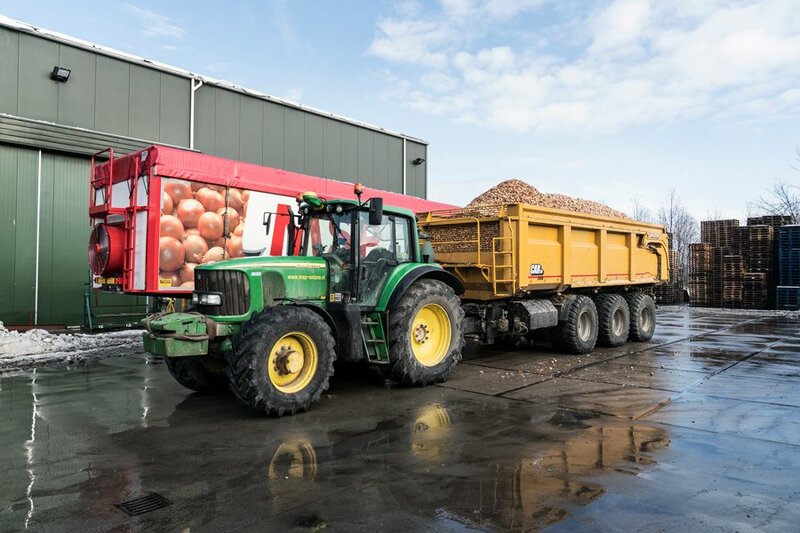 “We can honestly say that this is the best production line possible – not only for our company, but for the entire onion industry,” says Lindert proudly. There were quite a few challenges to overcome in designing this ‘factory of the future’. Instead of adjusting the factory plan to fit an existing building, the architecture was optimized according to the process flow at an early stage by loading the 3D drawing of the building into the factory model. However, that also meant that part of the building design had to be changed due to construction regulations, such as fire safety. “The general challenge we faced was that this had never been done before, so you encounter problems you couldn’t have anticipated. I learned to not get nervous, but to keep talking to all parties involved instead. The advantage of working with OTA is that you get the help of real experts in every specialty at every step of the process,” says Lindert. To realize all of this, MSP’s purchases included a 12-lane optical grading production line from Eqraft, an Onion Tech Alliance member, and several other machines from Modesta and Deprez. The Eqrader ensures quick and accurate sorting based on internal and external qualities, using cameras and infrared scans. Thanks to the use of an intelligent, self-learning neural network, the Eqrader can sort the product based on pre-defined categories depending on the requirements of a specific customer or country, ensuring the high quality that MSP demanded. Where sustainability is often seen as a necessary evil, MSP and Modesta believe sustainability can actually save money. “By fully recycling all waste, we can turn it into something useful: for example, processes that generate heat will be used to warm up the building,” explains Lindert. The new MSP factory will be 100% CO2 neutral.